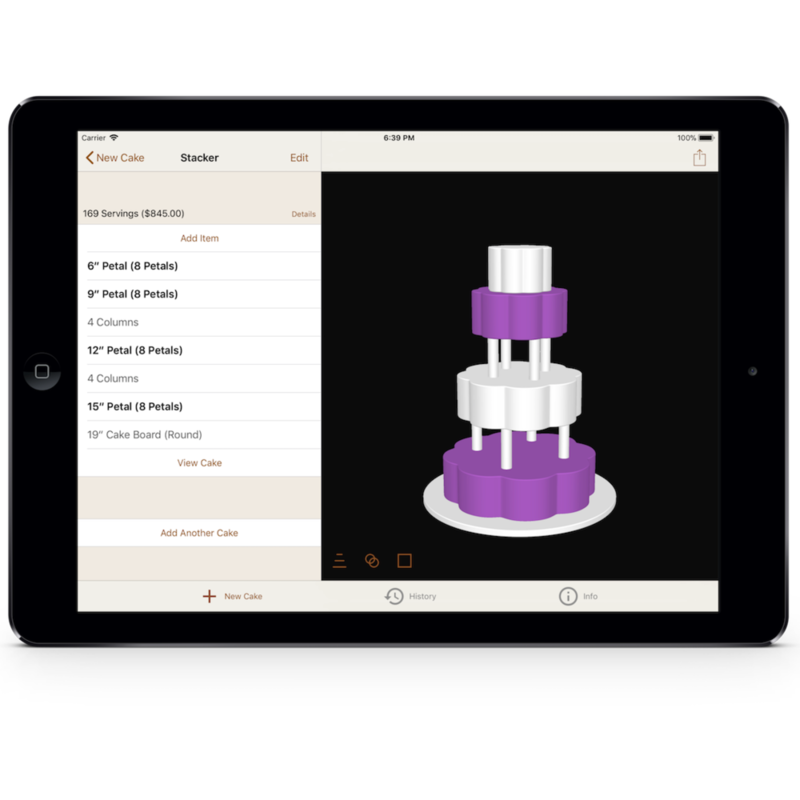 Calculated Cakes is the perfect app for deciding on the best size and shape cake to match any occasion. From home baker to professional cake artist, and from DIY bride to caterer, Calculated Cakes has something to offer anyone who needs to create or cut a cake. Calculate the perfect cake for any occasion, whether you're looking for stacked tiers, or individual cakes. Simply enter the number of servings you want your cake to be, hit calculate, and let us do all the math to find the cake you need. Build or edit cakes manually in the Stacker with tiers, dummy tiers, boards, and columns. The total number of servings is always kept up to date while you add and remove tiers. View cutting guides and needed fondant amounts for all of your cakes. Adjust the app's settings to meet your needs as a cake professional. 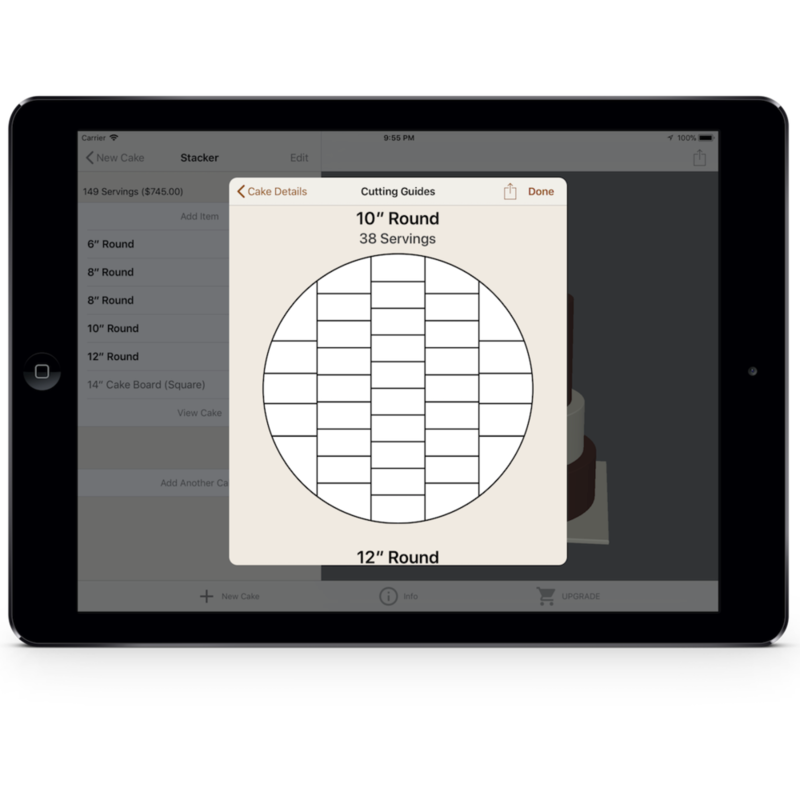 View, print, or share full serving charts, fondant charts, and cutting guides. 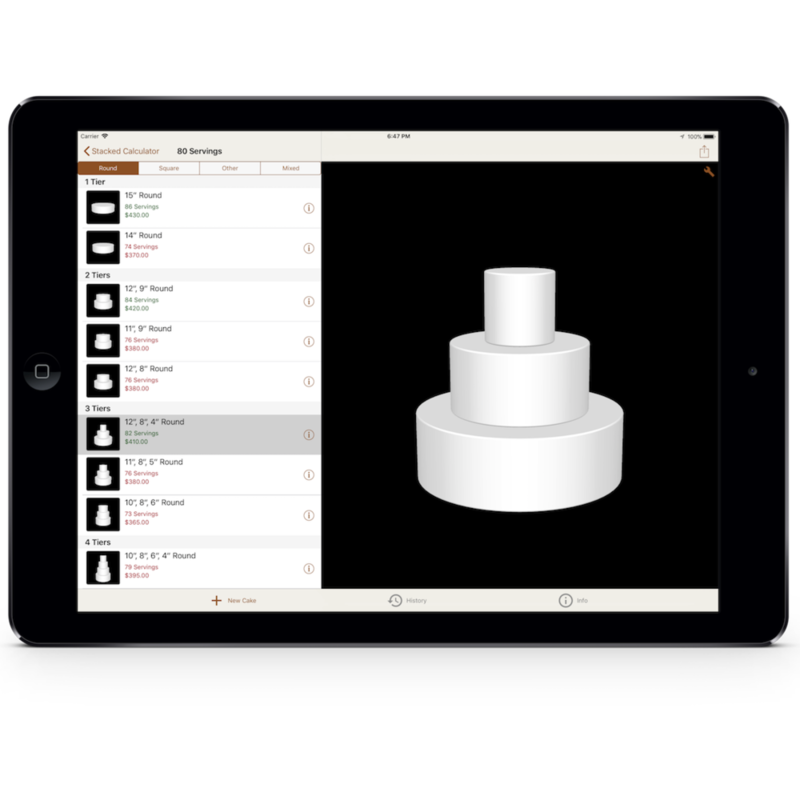 Use your device's camera to preview 3D cakes in augmented reality. Quickly navigate through calculator results or your history to compare different cakes in the real world. Much quicker and easier than using dummy cakes! Note: The augmented reality feature is only available on devices with an A9 processor or better.